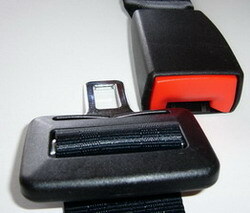 Australia's Premier Seatbelt Manufacturer, Hemco Industries has products to suit a wide variety of purposes from replacement seatbelts for modern vehicles, general purpose seatbelts for retro-fit to older vehicles, along with specialised seatbelts suitable for use with industrial vehicles, mining vehicles, and recreational Go-Karts. Hemco Industries was founded in the early 1950's with the idea of designing automotive occupant restraints (seatbelts) for a market that had little appreciation of the strong forces involved in vehicle collisions. Since the early 1970's the business has made its home in Ballarat, Australia and has grown and diversified to include business divisions of Seatbelts, Health Equipment and Warehousing & Transport. Our Seatbelt Division has enhanced our product range over the years to cater for safety restraints in almost any vehicle, be it motorised or self propelled. Where-ever the safety element of transport requires a seatbelt, then Hemco has the product to suit. 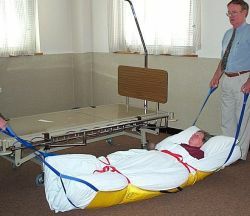 With our diversification into Health Equipment which provides all manner of support products for the Health Care industry. If we don't have a product specifically suited to the purpose you require, our development team may be able to assist. Our premises have allowed us to extend into Warehousing & Transport to support businesses locally and nationally with their storage needs. 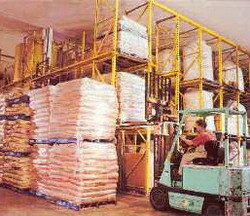 Extensive facilities catering for food products, cold & freezer storage or just plain under cover storage.